From last year up till today, we’ve been seeing more and more SUVs introduced here. And this is big business, as every single brand from Toyota all the way to Lamborghini is pushing for more sales figures; goes to show how excessive local drivers are these days when it comes to size. 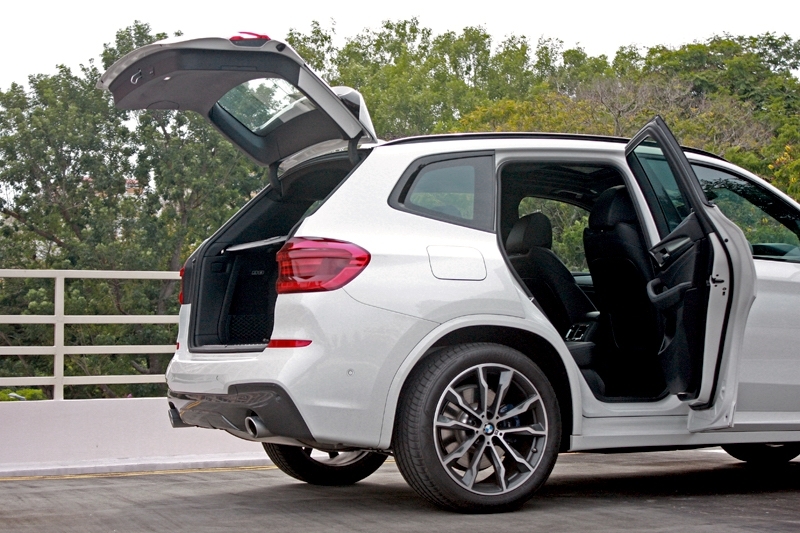 Gone are the days when consumers simply want a sedan for daily tasks; now, you need an SUV. A trend that’s set to stay. Well, it could also be due to the fact that floods – or should I say, ‘ponding’ – can take place anytime without warning on our little island. With an SUV, you could easily plough through deep water. 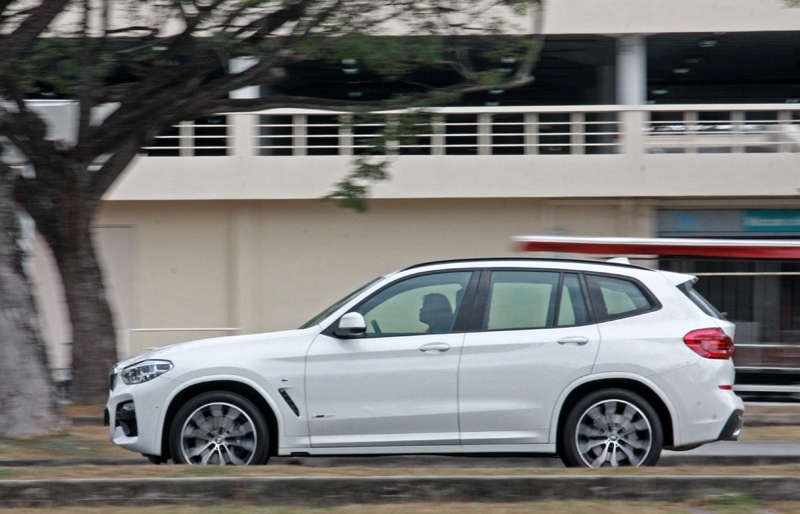 So here’s the new BMW X3, in xDrive30i guise that’s also fitted with look-good M-Sport kit. 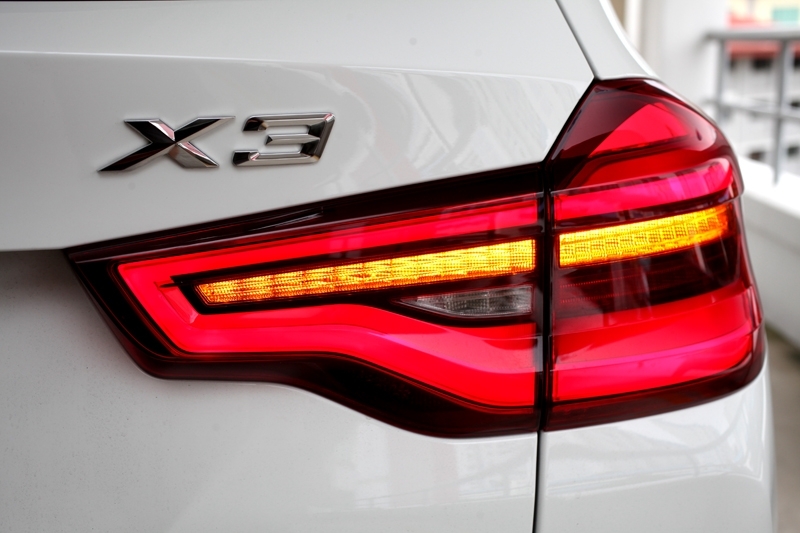 And oh, to prevent any further confusion, let me point out that the ‘xDrive30i’ doesn’t mean this X3 is powered by a 3.0-litre powerplant; instead, what you’d find under the bonnet is a turbocharged 4-cylinder, 2.0-litre unit that is paired to an 8-speed Steptronic transmission. 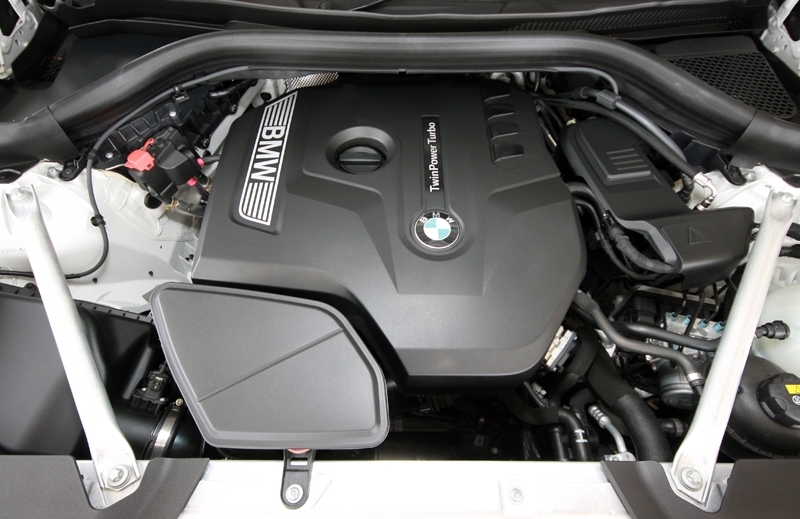 Despite that, power output is a respectable 252 hp with maximum 350 Nm of torque available from as early as 1,450 rpm. Even more surprising here is the fact this 1,848 kg BMW could do the zero to hero run in only 6.3 seconds, on paper. 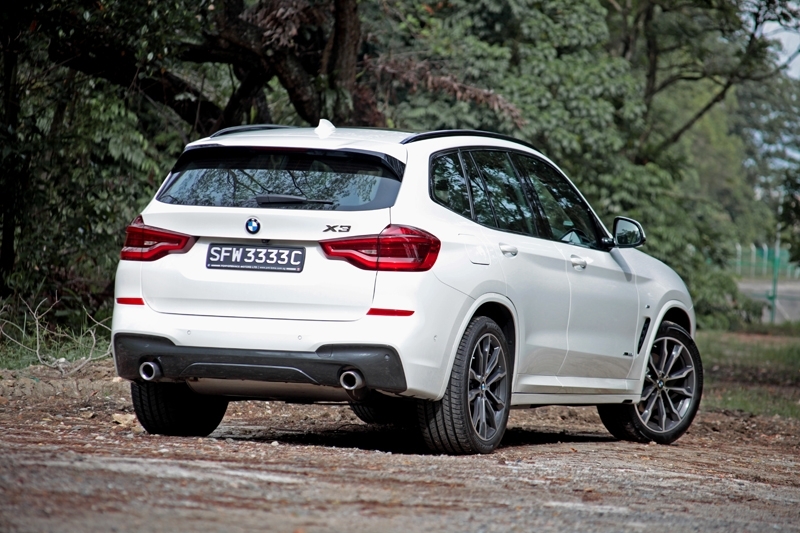 To be honest however, the X3 felt slower than that – perhaps somewhere near the 8.0 seconds region would be more precise. While it felt fast enough to accelerate from midrange to (slightly) past expressway legal speed, impressing even hot-hatches at the same time, initial movement seems marred by the turbo lag and the fact that it has a four-wheel drive system to haul. 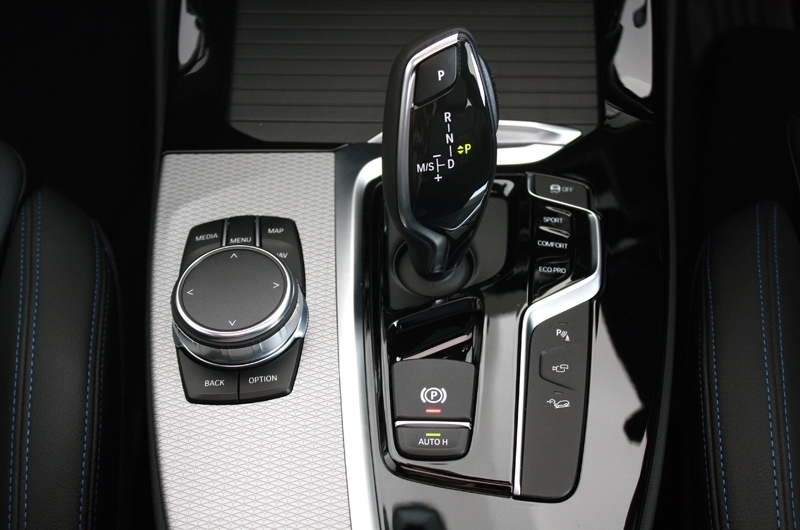 This even when the X3 is in Sport mode. Aside from that however, the X3 does the expressway run with ease, covering both gaps and distances rather effortlessly – even in default mode. Better still, the cabin is well protected against both wind and road noise. The optional Harman/Kardon premium sound system on the other hand makes you feel as though you’re in your own personal sound studio. 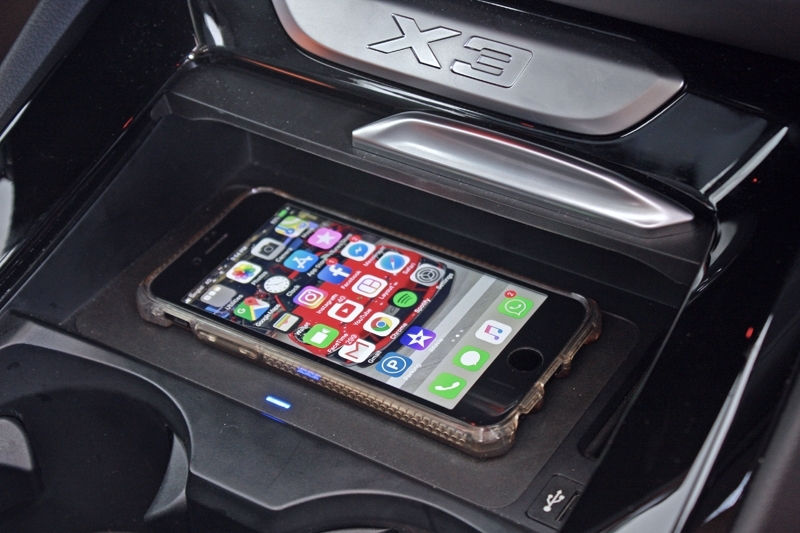 Tech geeks who enjoy Spotify and the likes, rather than the babblings of local radio DJs, should also be glad to hear that BMW offers wireless Apple CarPlay in the X3; unfortunately though, this is a cost option. And before I forget, yes, wireless charging is offered standard. This is the M-Sport version after all; hence comfort is not its strongest suit. 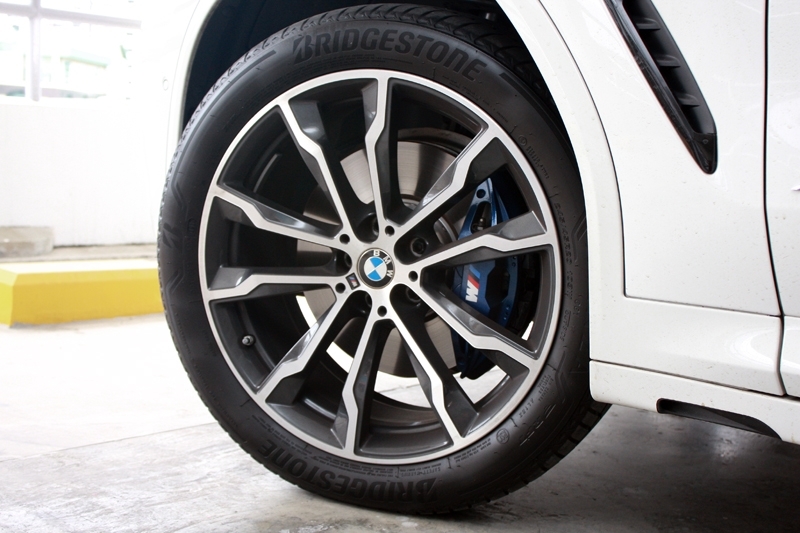 As it comes with a stiffer suspension set-up and larger 20-inch wheels wrapped in low-profile 245/45 R-20 Bridgestone Alenza RFTs, ride quality is harder than class norm. 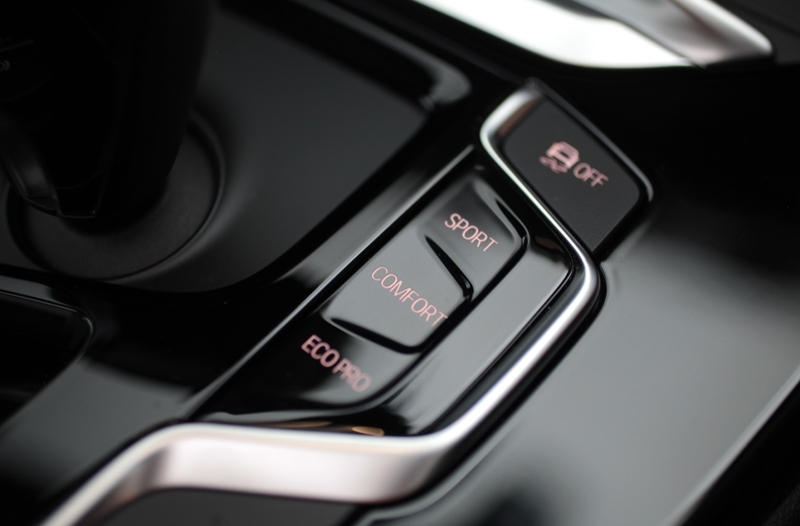 While drivers will enjoy the more engaging feel and crisp steering response, passengers will probably not enjoy this compromise. Then again, Comfort mode does improve the overall ride slightly; hence if hauling the family on a daily basis is part of the car’s task, I would personally recommend you look at the X Line variant instead. Speaking of family, the average SUV buyer buys an SUV simply because of the family factor. 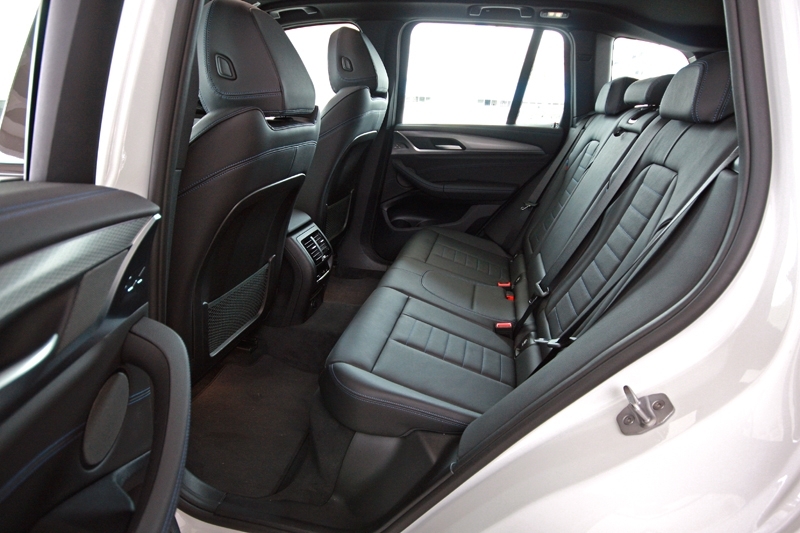 In this respect, the X3 doesn’t disappoint, as the cabin is able to accommodate four other passengers with no problem. 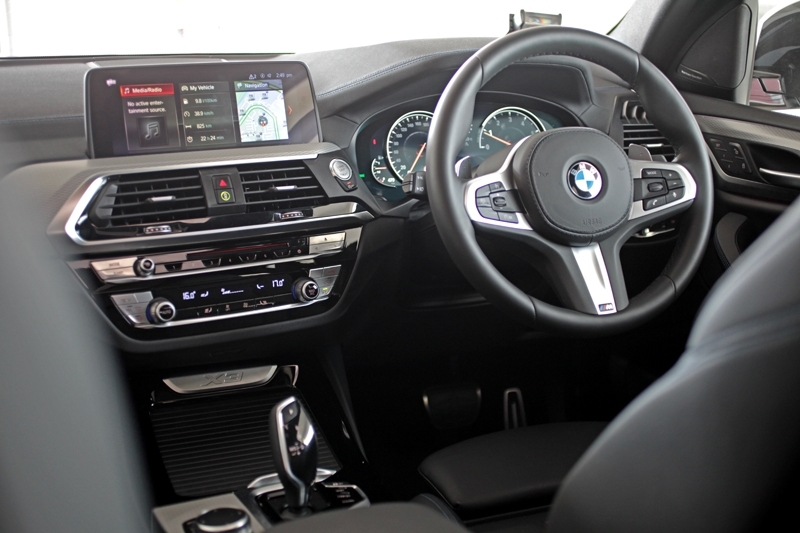 The seats are surprisingly kind and supportive; more so for the front occupant and driver who gets huggable sports type which keeps you in place. 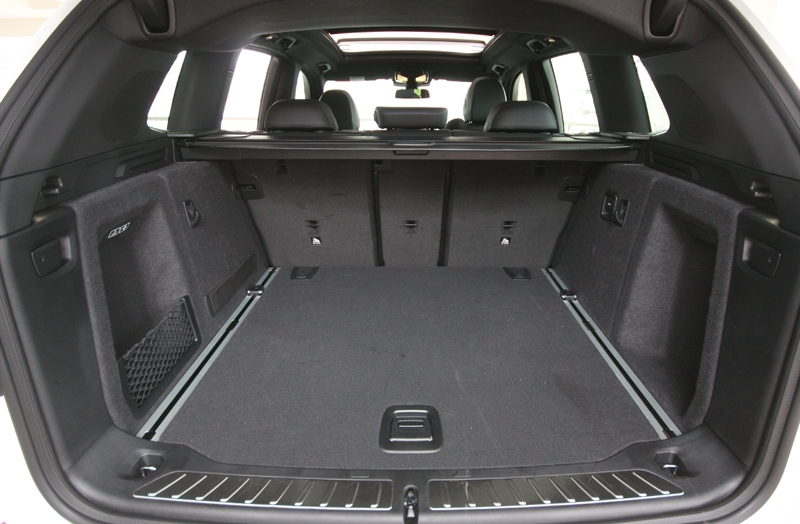 A 550-litres boot capacity is on offer, and this expands to 1,550-litres when the rear seat is stowed away. 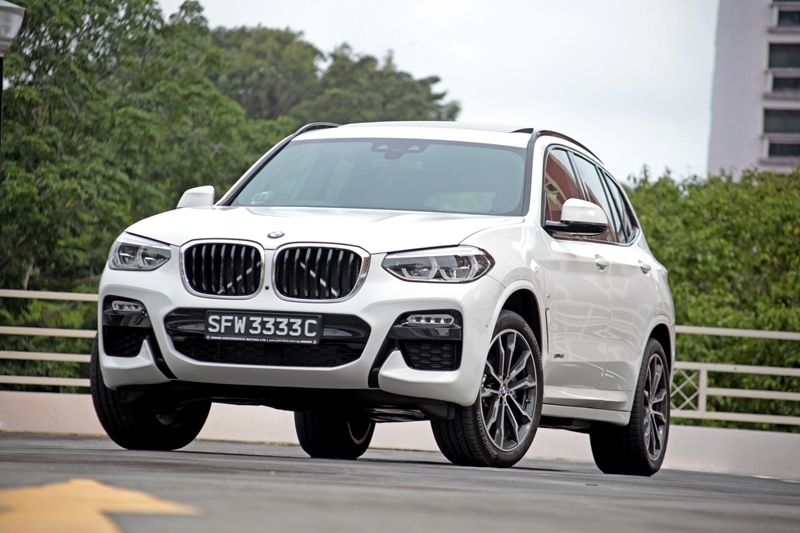 As a whole, the new BMW X3 xDrive30i here is an undeniably sporty SUV that should appeal to the sort of driver who enjoys driving hard, not wanting to be left behind by hot-hatches and sports sedans when the straight road turns snaky. The faultless build quality and attention to details truly impresses too. However if you need something more balanced, specifically a fair degree of comfort, you have to either look at the ‘lesser’ X Line variant or, most unfortunately, elsewhere.